HELLO! 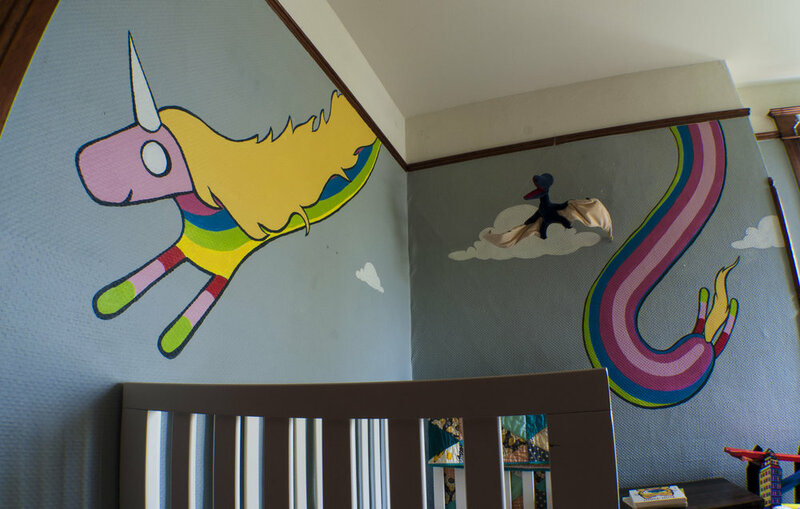 As well as painting decorative murals in businesses I also take commissions in residences- including KIDS ROOMS! I can take any children’s book character, movie character, custom characters, scenery- you name it, and adapt it to a wall of your choice! Send me a message and I will work with you to come up with something awesome!